Do you shoot primes or zooms? 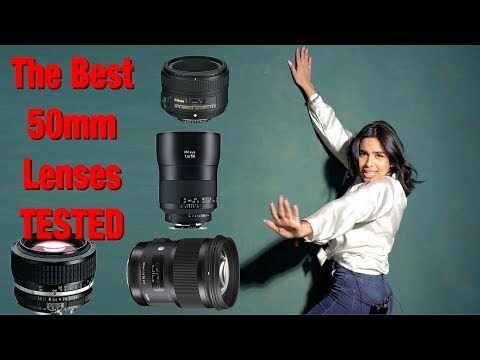 What is your favourite lens? Here I discuss 2 main misconceptions about zooms vs primes. Great video Matt. I personally totally agree with your point of view. When travelling by plane, most of the time, I use zooms to limit the number of lenses. When home or on car or train trips, i go with primes (or both) to be more creative. Sometimes I choose one prime and fix an assignment to fill up. Large aperture , different angle of view... all give us opportunity for creativity. Sad to learn that Herb has passed. Deepest condolence to his loved ones. Some time ago I sited that interview to a noted youtuber and was laughed at. Glad to have benefited somewhat first-handed from his knowledge. Great video. I strongly recommend to beginners to shoot for a minimum of 6 months with a prime (a 28, a 35 or a 50). This is what I did some years ago and my photography improved a lot. Glad you put those points across, I'm of the same school of thought, I use both equally. Love my 70-200 2:8 VRII just as much as prime lenses. I never understood why there seemed to be a divide. Hi Matt, it didn't matter to me at all on the topic of prime vs zoom as I'm a new shooter and still have a lot to learn. The video has definitely peaked my interest and pushed my zeal to learn and shoot a whole lot more. Great work!